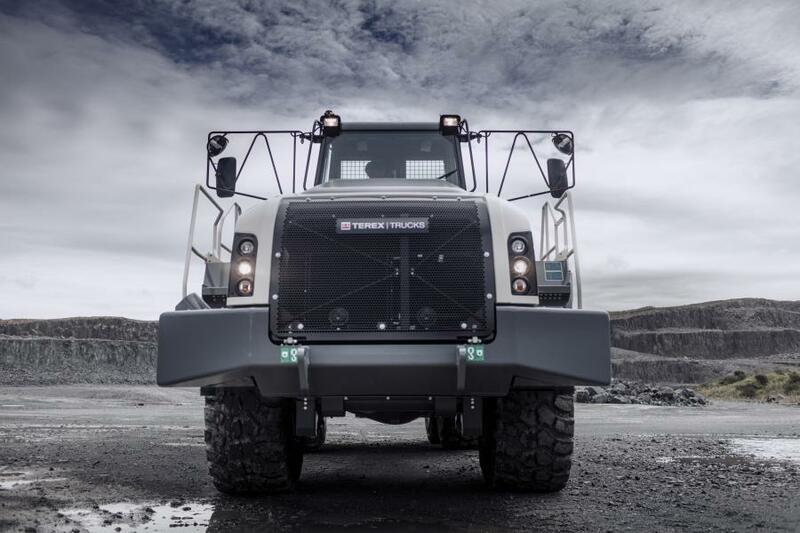 Terex Trucks’ skilled engineers have ensured that the TA400’s drivetrain is perfectly matched to the engine, thanks to automatic adaptive shifting capabilities and a pre-selected two-speed transfer box, along with longitudinal and limited slip transverse differential locks. The TA400 – the biggest articulated hauler manufactured by Terex Trucks – is designed to meet the demands of the most extreme operations. This robust machine excels at delivering cost-effective production at large-scale construction projects, quarries and mines. 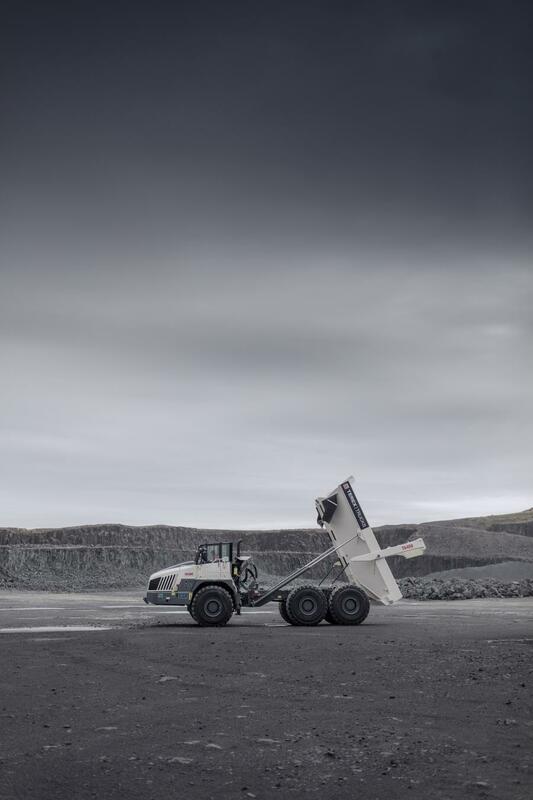 Terex Trucks specializes in articulated haulers – and with a maximum payload of 38 tonnes (41.9 tons), the TA400 is the biggest one it manufactures. 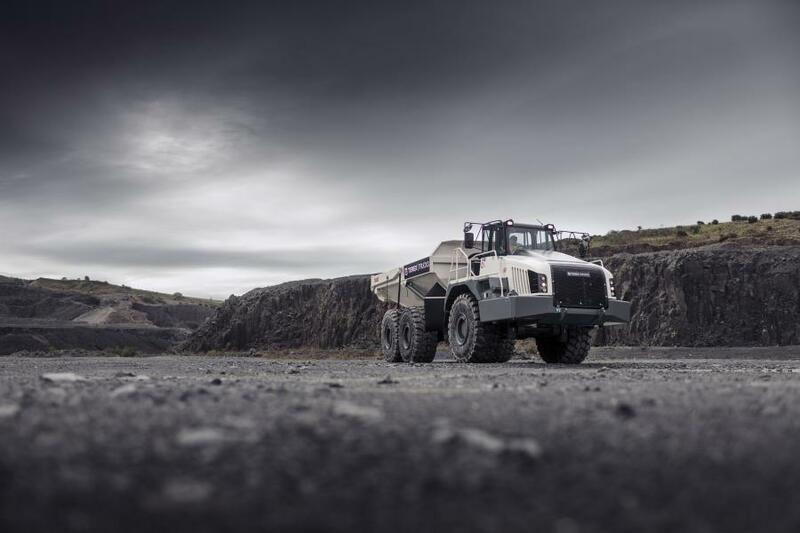 From the interior of the cab to the design of the chassis, this durable machine has been created to perform in some of the most challenging applications. The TA400 boasts a heaped capacity of 23.0 sq. m. (30.3 sq. yd.) and is powered by a fuel efficient Scania DC13 engine that develops gross power of 331 kW (444 hp) and a maximum torque of 2,255 Nm (1,663 lbf ft). The TA400's fuel efficient engine range is globally emissions compliant and meets the requirements of EU and North American legislation without the need for a diesel particulate filter (DPF). This is achieved via the latest generation selective catalytic reduction (SCR) technology, combined with exhaust gas regeneration (EGR) and a variable geometry turbo (VGT). Terex Trucks' skilled engineers have ensured that the TA400's drivetrain is perfectly matched to the engine, thanks to automatic adaptive shifting capabilities and a pre-selected two-speed transfer box, along with longitudinal and limited slip transverse differential locks. All of this helps the articulated hauler to deliver improvements in performance and productivity, whatever the application. Other key performance features of the TA400 include great traction and an effective power-to-weight ratio, which ensures material is moved as quickly as possible in all conditions. With this functionality, customers can achieve maximum productivity at a minimal cost. Reducing operational costs even further, as well as enhancing safety, are the force-cooled multi-disc brakes. Supported by an electronically activated exhaust brake and a six-stage modulating transmission retarder, the TA400 benefits from longer brake component lifecycles. The Allison HD4560 transmission boasts high performance oil and up to 6,000 hours between service intervals. In addition to all of this, the machine has magnetic suction filters, which reduce the risk of contaminants entering the hydraulic system. This helps to maximize uptime through cleaner hydraulic oil, longer periods between maintenance and prolonged hydraulic component lifecycles. Although the TA400 is robust and durable, this definitely doesn't come at the expense of operator comfort. The machine has a spacious, ergonomically designed cab with pressurized properties, which ensures operators are comfortable when behind the wheel. Acoustic insulation helps to minimize noise levels inside the cab while a high performance and easily adjusted heating, ventilation, and air conditioning (HVAC) system ensures a stable temperature. Other features that help to deliver a comfortable work environment include a tilt/telescopic steering wheel, an adaptive air suspension operator's seat with adjustable armrests, anti-vibration mounts for the engine and cab, and cushioned stops on the steering cylinders. For safe, easy servicing, the TA400 has ground level test points, a fully tilting cab, an electronically raised hood and a full suite of on-dash diagnostic and machine health check readouts which help to maximize uptime.